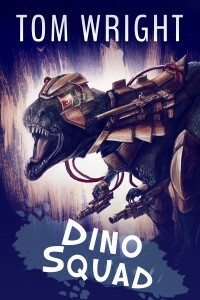 You can purchase Dino Squad on Amazon, Barnes and Noble, iBooks, Kobo, Scribd, Inktera, and Oyster. 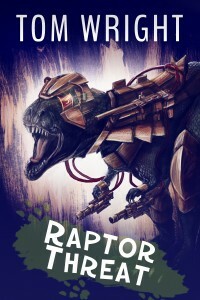 The first book, Raptor Threat, is free, available on Amazon, Barnes and Noble, iBooks, Kobo, Scribd, Inktera, and Oyster. WARNING: This book contains action. Lots of action. Dinosaur-fighting action. Jurassic Park meets Transformers. Meet the heroes that team up to stop the threat that hangs over earth’s head: Total annihilation. Dinosaurs battle it out for supremacy, and their battlefield is earth. The second book, T-Rex Attack, is free, available on Amazon, Barnes and Noble, iBooks, Kobo, Scribd, Inktera, and Oyster. The raptor war continues full throttle. Dino Squad struggles to repel the raptor invaders, but the absence of two members hurts their efforts. The two missing dinosaurs wake up to find themselves stranded. They must reunite with the team. At stake? The safety of the world. 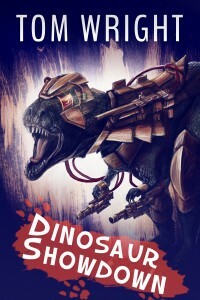 The third book, Dinosaur Showdown, is free, available on Amazon, Barnes and Noble, iBooks, Kobo, Scribd, Inktera, and Oyster. The countdown ticks away as the raptor menace seeks to end the war on their terms, once and for all. Dino Squad mounts a rescue mission, but even if they succeed, will they be too late to stop the raptor threat? The fate of the world hangs in the balance as the two primal foes clash one last time. Paul Sponaugle on Smash Up… Why do they call it Smash Up?